156. 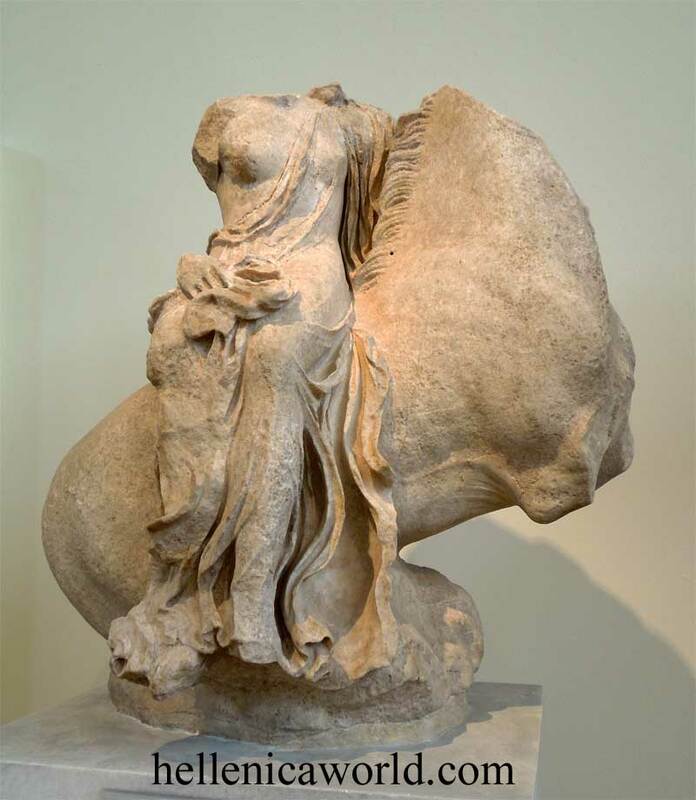 Statue of a Nereid or Aura on horseback. Pentelic marble.